Excellent warm spacious home with seperate sleepout(sleeps 2)house sleeps 8, fish smokehouse,kayaks,opposite estuary and reserve,safe swimming for children,within close proximity of surf beaches,walking tracks,whananaki south footbridge,boat ramp,local shop,takeaways(fish?ps)fishing,kayaking,whananaki warf ,historic Maori pa just relax on the decks taking in the views. within 40 minutes of major shopping centre,whangarei. Within walking distance of local attractions. Location was brilliant and plenty of space for two families with young children. The communication from our host was really clear which was great too. Perfect large bach for a kiwi family group, well set up and provisioned. Plenty parking too. 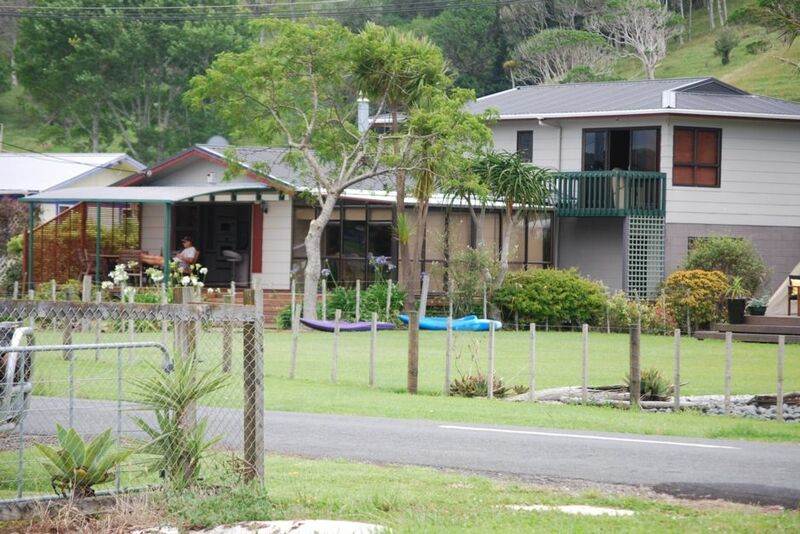 Lovely big property, perfect location in Whananaki. Great big house, could do with 1 more shower for amount of people that can stay. Great big house, could do with 1 more shower for amount of people that can stay. Lovely new kitchen. The house is in an amazing location, right on the estuary so perfect for swimming and kayaking. The house is in an amazing location, right on the estuary so perfect for swimming and kayaking. Also walking distance to the nearest ocean beach. Plenty of space in the house and a lovely decking area to sit out on. Don’t forget to take all the essentials as the small shop along the road may not have what you need (we forgot dishwasher powder but Rob’s brother kindly found us a few to keep us going). I was there with 4 adults and 2 teenagers and we really enjoyed our stay and exploring the area.